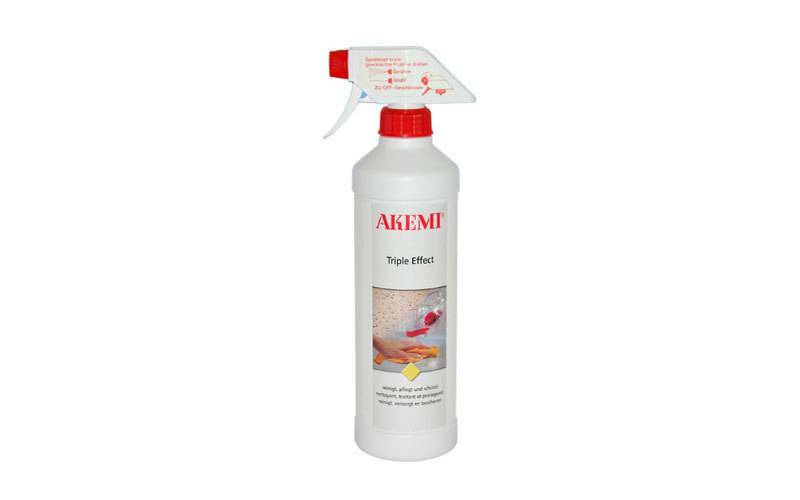 Highly effective stone care and impregnation spray. Contains modified organic compounds, com-bined with cleaning components which do not form layers. Natural fresh odour. Foodsafe (tested by LGA Nuremberg). Pumpspray for the regular care and protection of fine ground and polished natural and artificial stones (such as marble, granite and concrete ashlar). Three effects are achieved in one single operation: deep cleaning; water-, oil- and grease repellent protection; restores lustre.